Hello, Alicia here today with a clean and simple holiday card. 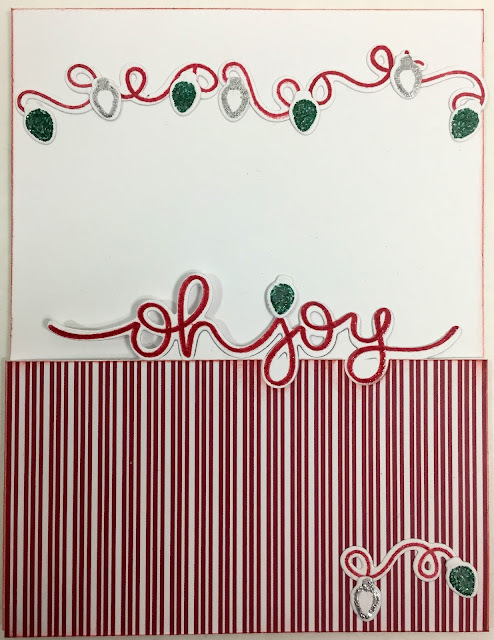 I am having so much fun with Lawn Fawn Winter Big Scripty Words stamps and matching Lawn Fawn Winter Big Scripty Words dies. This is the first time I have played with the light bulbs and strings. This set has proven so versatile. From this angle you can see how neat the partial cut looks. To finish off the card I cut a panel of printed paper for the remainder of the front panel. 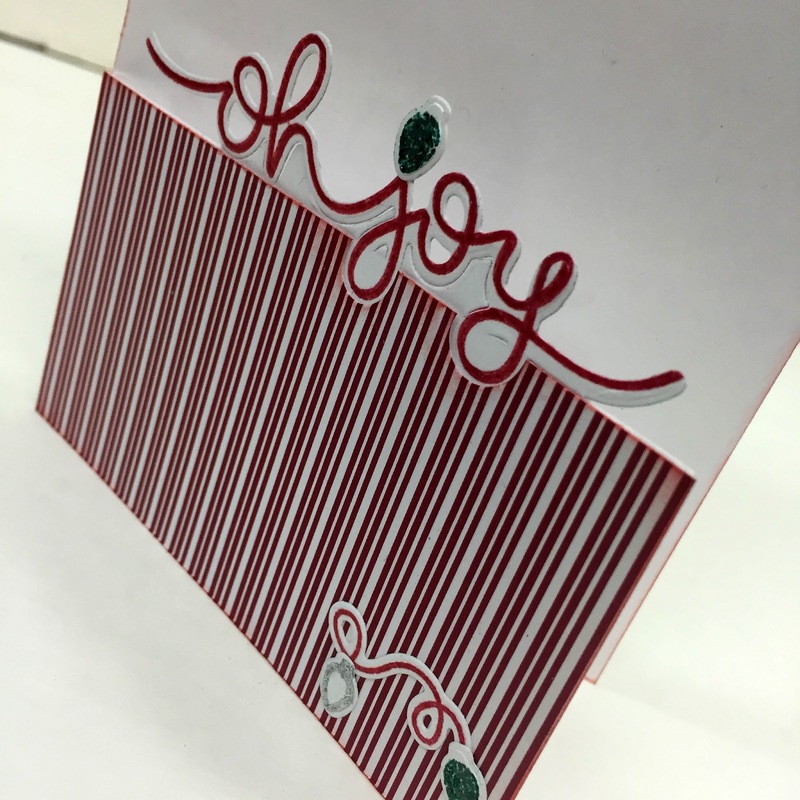 I stamped and embossed the strings and bulbs. Adhered all the pieces and finally chalked the edges. Please remember, each and every day of the month there's a new inspiration sample shared here on the blog by this fabulous design team. Please be sure to pop in regularly. 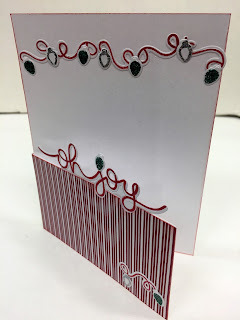 And don't forget to come join in the fun at the Dies R Us Challenge Blog. There's a new challenge theme offered on the 1st and 15th of each month and one lucky randomly drawn winner will receive a gift voucher prize to the Dies R Us Store. For your convenience, all the important Dies R Us links are provided below. Fantastic CAS Christmas card Alicia! I love the way you have partially die cut the sentiment, such a great effect, and the light bulbs are so cute! This is so cute! 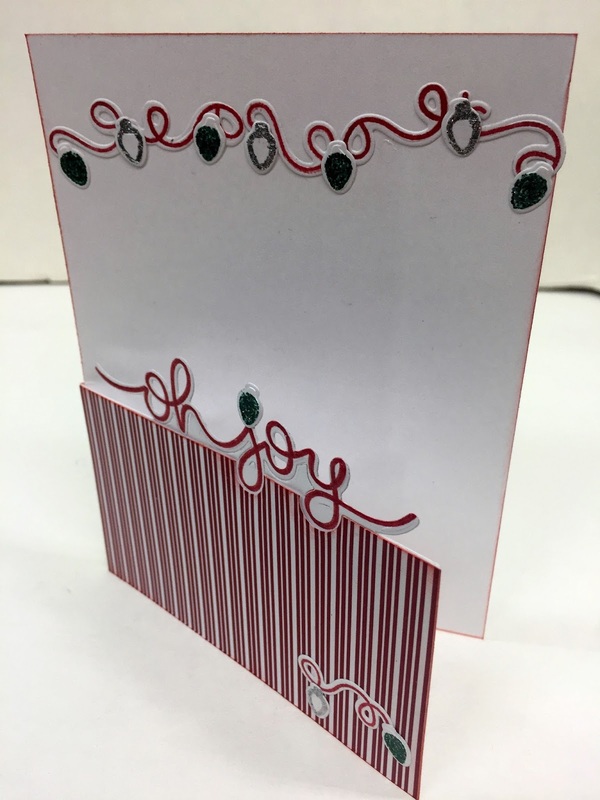 What a fun design on your card!! I love how the Christmas lights mimic the swirly sentiment. A perfect combination!! OH WOW how clever is this! What a unique and awesome creation Alicia! Awesome inspiration using these dies! Well done!! 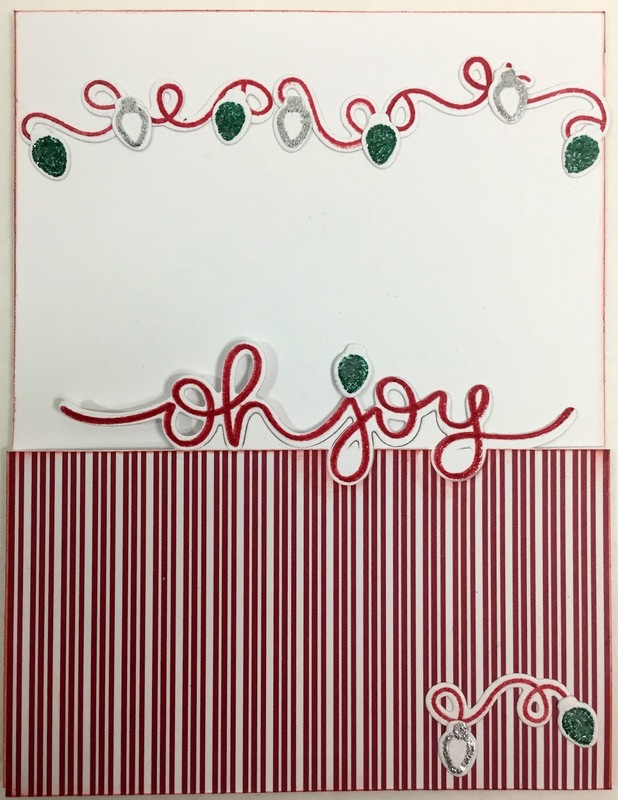 Great design, love that stripped paper with it and the lights are perfect with the scripty dies! !